Pondmaster Fountainheads are easy to install and beautiful to watch. 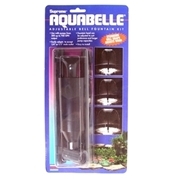 Give an exotic look to any ordinary pond with your choice of bubbler, bell, or lotus patterns. 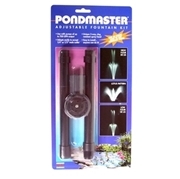 Pondmaster fountainheads are designed for use with the Pondmaster Mag-Drive Pumps, but can be used with any pond pump that has compatible flow and outlet size.